American Idol must be depending on Jennifer Lopez to save the sinking series because they’ve been trotting her around town in different outfits every day. 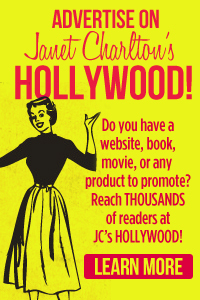 The show is in the middle of their Hollywood Auditions and Jennifer is prominently featured at all times. She and fellow judges Keith Urban and Harry Connick Jr took a highly visible walk down Hollywood Boulevard to drum up some publicity for the show. Jennifer Lopez looks casual and adorable as she takes her kids out to dinner in New York. Twins Maximilian and Emme are six and full of mischievous energy. 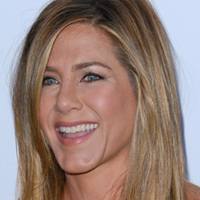 Jennifer is a judge on American Idol and is currently filming the New York auditions. 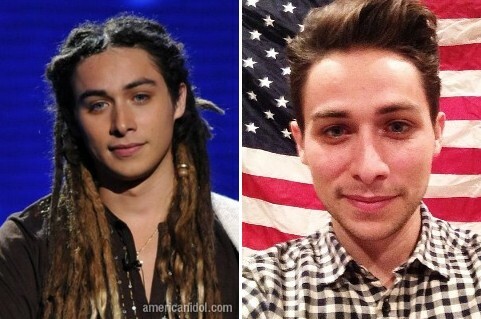 One of the all -time cutest – and sweetest – American Idol contestants (back when we CARED) was dreadlocked singer Jason Castro from season seven. 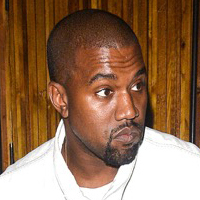 Now he’s 26, married to his Texas sweetheart and a father, and according to The Hollywood Reporter, he decided “the day has come” to chop off the dreads. 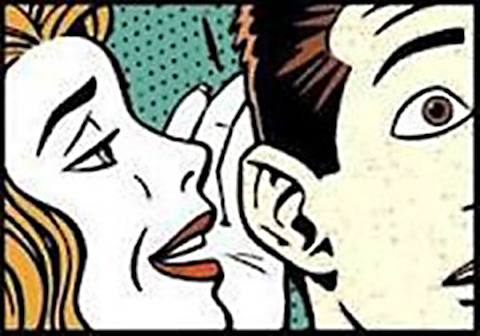 Click HERE for a character- revealing story about him. Luckily, he still has a nice head of hair. American Idol is giving Jennifer Lopez a lot more than 17.5 million dollars to return to the show. Producers told her she could have anything she wanted and she handed over a list a mile long. Besides a gigantic trailer, she needs two spray tanners and an around the clock masseuse. According to Star magazine, she’s getting a ten thousand dollar a week wardrobe allowance. Her boyfriend Casper Smart has been added to the payroll as “choreographer.” Jen’s “no eye contact” rule will apply and she will be the ONLY female judge. But will all this indulgence save the struggling show? Mariah Carey must be in SHOCK since she learned about the plot to replace her with Jennifer Lopez in the middle of the American Idol season to boost sagging ratings. Mariah has a high opinion of herself and she threatened to sue the producers pants off. Although Idol reps scurried to deny the story, Mariah must be steaming. 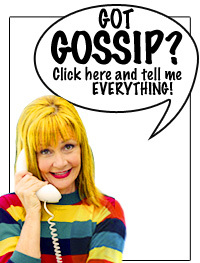 Of Course, Nicki Minaj must have found the news leak delightful but little does she know, HER days are numbered too. Viewers found the well-credentialed Mariah to be dull and not particularly engaging. While Nicki was more animated, much of the audience was turned off by her attitude. According to The Hollywood Reporter, the whole panel of judges will likely be replaced next year. 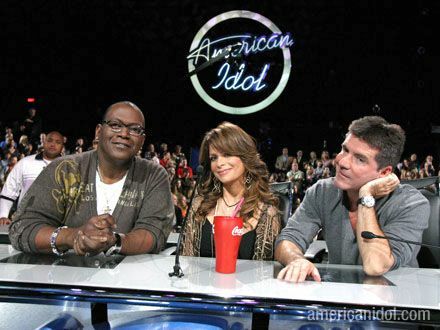 American Idol’s ratings are down 18% compared to last year, and less ad money means fewer frills. This is clearly illustrated by the backstage craft service table at CBS where the live show is produced. 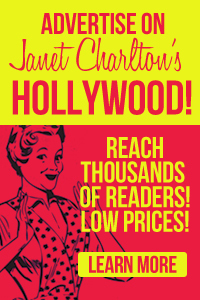 A show insider told Rambling Reporter columnist Merle Ginsberg at The Hollywood Reporter that in early March crewmembers were surprised when they started being charged 25 cents to nibble on the previously free carrots and potato chips at the craft table. By April, the price to graze had gone up to a dollar! Why the crew people are being “punished” for low ratings remains a mystery. American Idol is doing everything they can to drive up the sagging ratings and former judge Steven Tyler was a good sport to dress up in drag. He livened up the auditions in Oklahoma City be pretending to be a contestant named Pepper. It didn’t take long for the judges to see through the disguise, but we couldn’t help but notice he bore a striking resemblance to transgendered Alexis Arquette. Only Alexis is younger and has better makeup. They do have similar lips. 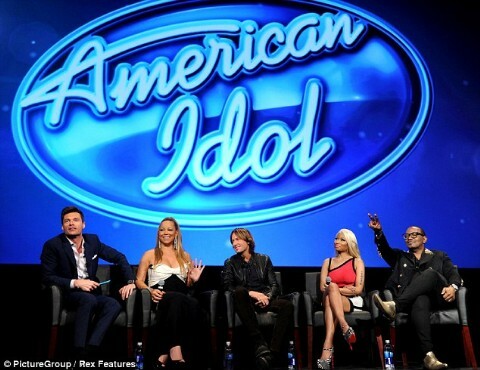 UCLA students got an eyeful When American Idol held it’s season 12 premier viewing on campus Wednesday night. Nicki Minaj and Mariah Carey tried to out dress each other – Nicki in skin tight neon colors, and Mariah in an alarmingly low cut gown. Mariah arrived late and let Nicki rule on the red carpet. They were seated on a panel onstage with Ryan Seacrest, Keith Urban, and Randy Jackson, but most eyes were on the feuding girls. Mariah declared the show and “unsafe work environment” and she hired six bodyguards, much to the amusement of Nicki Minaj.